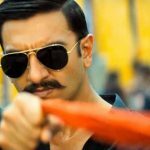 The last major Hindi release of the year 2018, Simmba has already become a blockbuster at the box office within two weeks and still not ready to slow down even in its third week despite having new two anticipated films- Uri The Surgical Strike & The Accidental Prime Minister in the parallel. 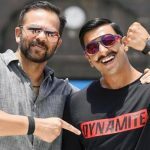 The first film of hit machine Rohit Shetty & powerhouse action Ranveer Singh together, Simmba was released amid the huge excitement of fans and expectedly opened on a terrific note. By remaining super-strong throughout, it registered the business of 150.81 crores in the first week which included 75.11 crores in the weekend and 75.70 crores on weekdays. In the second week as well, it maintained a solid pace and did the business of 61.62 crores with 39.83 crores in the weekend and 21.79 crores on weekdays. Rohit Shetty’s directorial is now running in its third week and once again passed the weekend on a strong note. It raked the business of 12.41 crores in the third weekend with 2.60 crores on Friday, 4.51 crores on Saturday & 5.30 crores on Sunday. Now on weekdays also, the film is holding very well across India. On 3rd Monday, due to a partial holiday, it managed to collect the amount of 2.87 crores. With a slight drop in footfalls on 3rd Tuesday, Simmba bagged the amount of 2.29 crores. On the next day i.e. 3rd Wednesday, with a further decline, it minted 1.31 crores and raised its 20 days total collection to 231.31 crores nett at the domestic box office.